-Barbara Brenner, former BCAction Executive Director in the new documentary Pink Ribbons, Inc. Billions of dollars have been raised through the tireless efforts of women and men devoted to putting an end to breast cancer. Yet, breast cancer rates in North America have risen to 1 in 8. 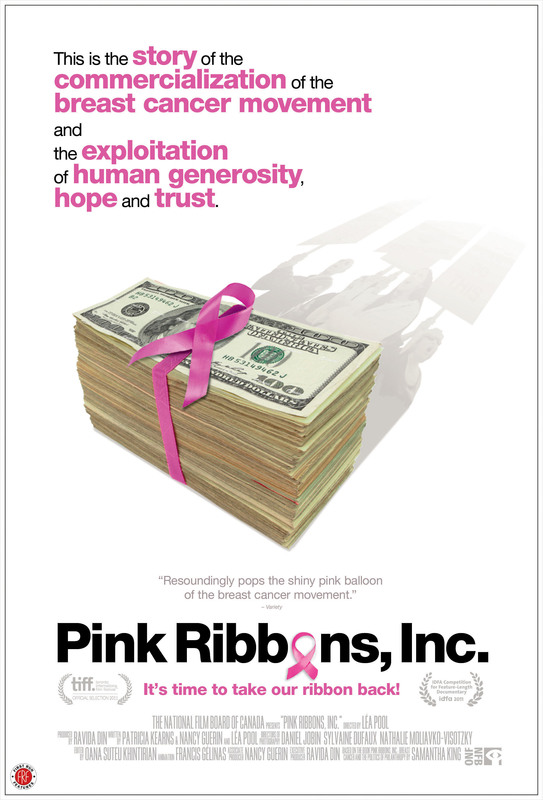 “What’s going on?” asks our former Executive Director Barbara Brenner in Pink Ribbons, Inc. a new film now playing across Canada and debuting in the U.S. this year. Thank you, Léa Pool, from the bottom of our pink ribbon-fatigued hearts, for making this movie. We need powerful. We need incendiary. This film has been a long time coming. Based on Samantha King’s brilliant book of the same name, Pink Ribbons, Inc. pulls back the pink curtain on why we aren’t making progress in ending this epidemic. It’s a curtain we’ve been tugging on for over a decade through our Think Before You Pink® campaign, where we encourage people to ask critical questions about breast cancer fundraising. We are thrilled to see this message go mainstream. 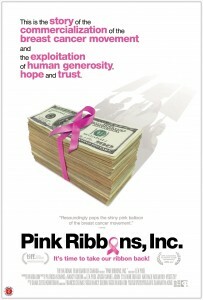 Pink Ribbons, Inc. also shines a much-needed spotlight on pinkwashing, a coin we termed to describe when a company or organization claims to care about breast cancer by promoting a pink ribbon product, but at the same time produces, manufactures and/or sells products that are linked to the disease. When it comes to breast cancer, profits far too often are priority number one. This toolkit helps advocates like you challenge the status quo and make sure women at risk of and living with breast cancer come first. Check out our events page for upcoming community screenings near you.